While it may seem silly, meditation for beginners is no joke. Everyone has to start somewhere. When faced with a complex topic, it's always best to start at the very beginning. There's no shame in acknowledging this stage of your practice. In fact, by beginning afresh in something, we can often improve other aspects of our lives. Meditation is an ancient practice. It goes back close to 3,000 years. This doesn't mean it's been consistently performed, or even used, in the same way. Different groups have created their own versions and techniques. From Zen to Transcendental Meditation, from Korean to Tibetan to Burmese and New Age, meditation practice has reflected the groups and individuals who employ it. This can be confusing to beginners who want to know how to do meditation. In fact, learning meditation can be very bewildering. As a result, it's essential to do research. You could start from the website of a friend of mine, Iddo, that is focused on meditation for beginners. It will help you to discover the right type of meditation for you. People turn to meditation for many reasons. We may take it, initially, as a form of exercise. Yoga and meditation are completely complementary. Yogic breathing, for example, is beneficial in meditation practices. We may also turn to meditation to decrease stress. Medical research indicates that meditation does help us reduce stress. By reducing stress, we also act to improve our overall health. Furthermore, the reduction of stress also increases our levels of enjoyment. We become happier individuals. Yet, there are also those who seek spiritual fulfillment through meditation. Even when we do not believe in a deity or omniscient being, meditation can result in a spiritual realization. This is another reason, perhaps one with a higher purpose, that some may turn to meditation. A number of approaches are available to locate the right type of meditation for beginners. First, consider whether meditation is best done in a group or alone. Next, place this in context with the reason for learning meditation. As a beginner, take the time to do research on the topic. Locate local groups. Be sure to check out both the library and the internet for possible suggestions. Talk to people on and offline. After the material is compiled, consider all the options. Decide, then, the best approach. It must suit the reason, the amount of available time, your intent, and your philosophy or religion. Beginner meditation classes may be the best place to start. These will provide the basis for an ongoing practice. I suggest you contact a local group. While it is feasible to learn meditation from tapes or CDs, or even from YouTube, the best mode is in person with one-to-one contact. After learning the basics and establishing a clear direction, go off alone if it proves more suitable. When selecting a group, make sure the fit is compatible. See if they offer a free introductory class. By attending, it is possible to get a feel for the type of meditation. A yoga group, for example, offers a different approach than that found in Buddhist group. 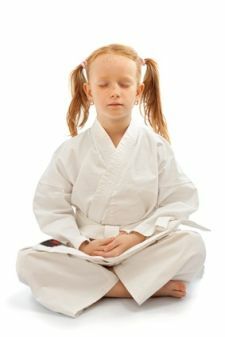 Teachers will also affect the decision to prefer one type of meditation for beginners to the other. This is why it is critical to try a single class before committing to a series. Meditation for beginners is just that – the start of what can prove to be a life-long love affair. It's one in which we all can indulge ourselves. In the end, we are the better for it. We emerge fitter, healthier, less stressed, happier and even more spiritually connected. Here are 7 tips for easy meditation that can help you start your practice in a simple and correct way. Read how my services can help you to start with meditation in the right way. Do you have questions ? Contact me. Return to Home Page "Spirituality and Health" from "Meditation for Beginners"